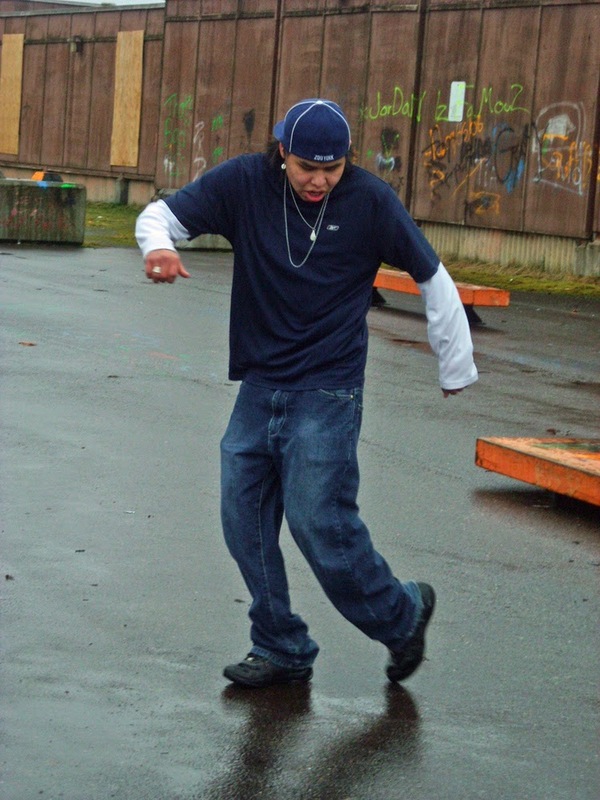 Curtis Brown’s film is a touching account of how he (a “lost raven”) was uprooted at a young age and now as a young adult is rediscovering his roots as a Haida dancer. He danced both traditionally and in a contemporary form for his film. He also played the flute for three of the six films! Curtis is seriously talented. 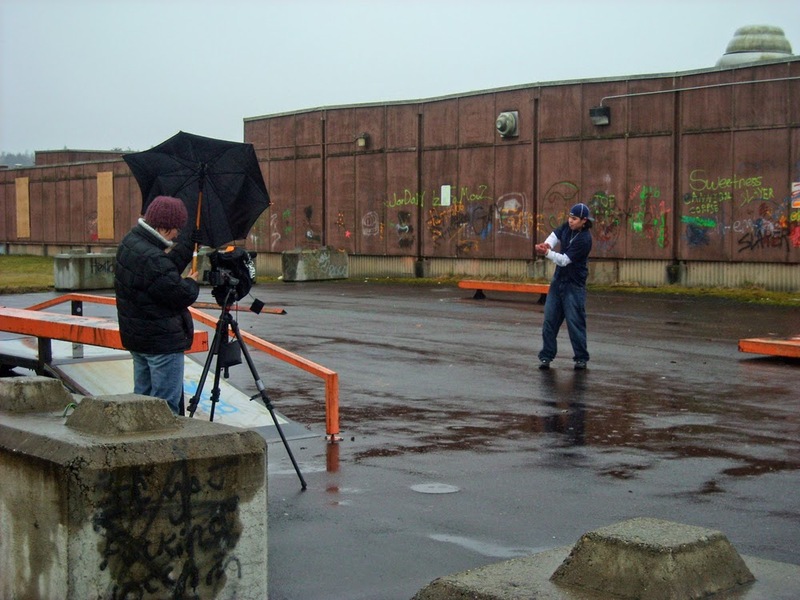 Curtis wanted to use the abandoned army barracks in Masset as his backdrop for his urban dance scene. We didn't let a little rain stop the shoot!